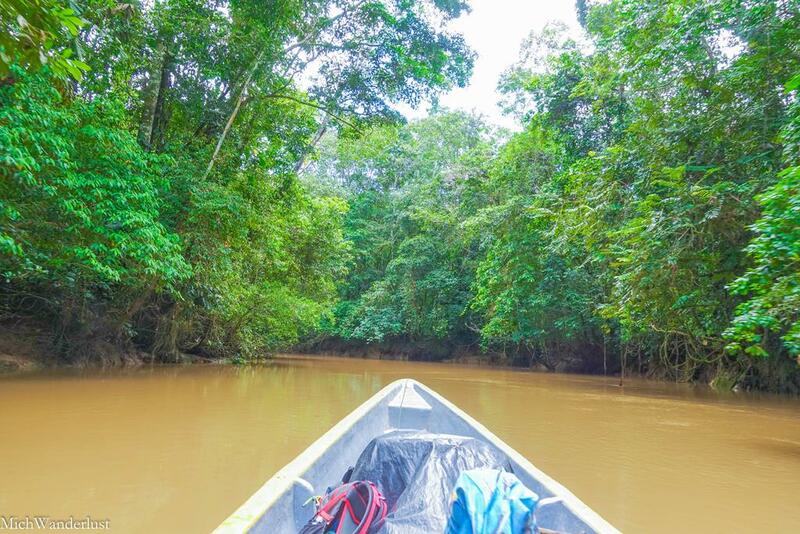 Is visiting the Amazon rainforest on your bucket list? 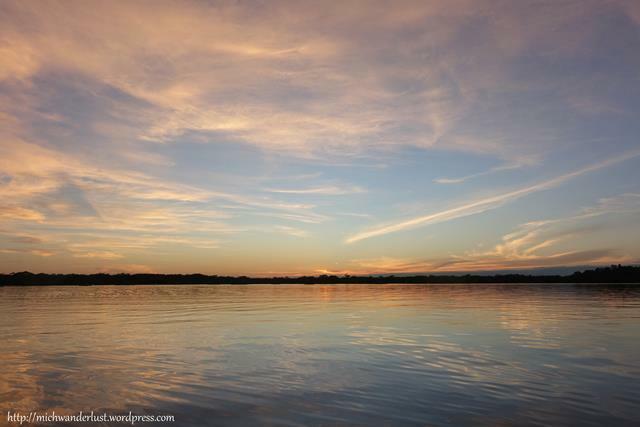 If so, here are 5 compelling reasons you should visit the Ecuadorean Amazon. Yasuní National Park in eastern Ecuador is known as one of the most biodiverse places on Earth. This caused UNESCO to declare it an international biosphere reserve and it has been a national park since 1979. The rest of the Ecuadorean Amazon isn’t too shabby either. I saw many species of monkeys, birds and (disconcertingly huge) insects in Cuyabeno. Unfortunately, this incredible ecosystem is under threat on multiple fronts. The state oil company Petroecuador has been drilling and extracting oil under Yasuní since last year, to the tune of 23,000 barrels daily. 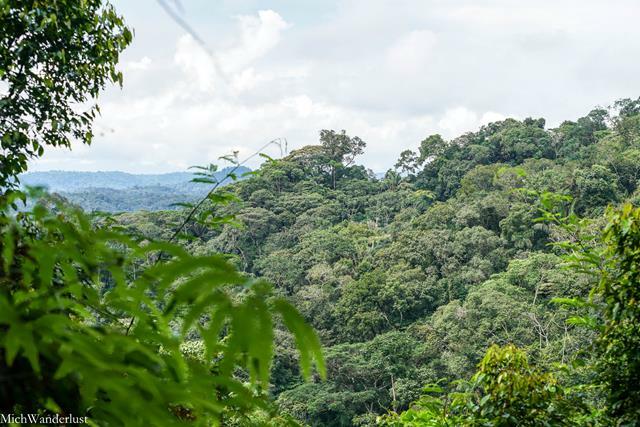 There are concerns that this will lead to water and soil contamination, and that the building of roads will inevitably lead to deforestation and colonisation of this pristine rainforest. The Ecuadorean government claims that it’s possible to extract oil without harming the environment – with the latest drilling technology and strict operating conditions. I want to believe that. But the cynic in me says it’s simply not possible to extract this much oil without inflicting some environmental damage. And let’s not forget the disastrous effects of the toxic waste Chevron dumped into rivers and streams throughout the region for years. As a result of that, indigenous communities are still suffering a wave of birth defects, miscarriages, and cancer. Not to mention the enormous devastation suffered by the ecosystem. Apart from the oil extraction, don’t underestimate the ongoing impact of climate change and deforestation on the Amazon rainforest. One of the many negative impacts of deforestation is drastic changes in rainfall patterns and distribution, which will make the dry seasons every drier. I’ve seen this firsthand in Cuyabeno – our motorised canoe got stuck because the water level was too low, and plans to swim in the lake at sunset were scrapped because of low water levels. And it doesn’t take a genius to see that this combination of increased temperatures and decreased rainfall will affect the Amazon’s world-renowned biodiversity. Whew, that was heavy sh*t, wasn’t it? I’m so sorry if I bummed you guys out, but awareness is the first step on the road to change. Rather than burying our heads in the sand, or throwing our hands up in despair, let’s take action. Check out the 4 most effective things you can do about climate change. And 12 things you can do right now on climate change. And if a trip to the Amazon is on your bucket list, you should absolutely visit sooner rather than later. Many jungle lodges are a community initiative or operated with a view to helping the local indigenous communities. 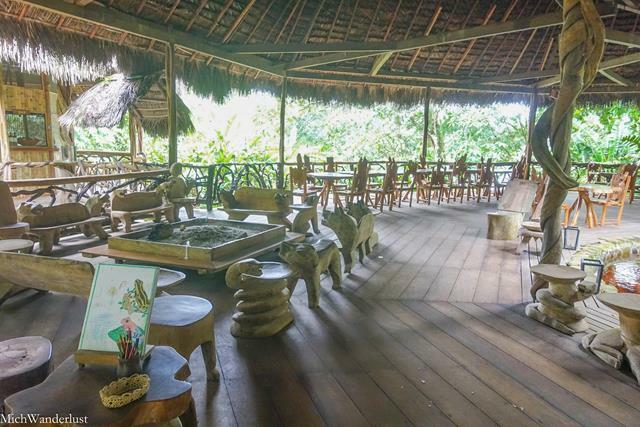 For example, the luxurious Napo Wildlife Center is wholly-owned by the local Kichwa community, who also make up almost the entire lodge staff. They reinvest the income in social and cultural projects. Liana Lodge near Tena is owned by a Swiss co-operative, one of whose objectives is to help the local Ahuano community implement sustainable rainforest management. They also employ Ahuano people at the lodge and organise visits to Ahuano families, where visitors can learn more about Kichwa culture. 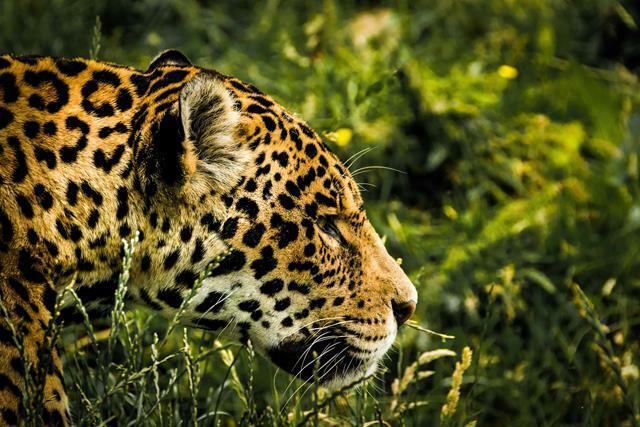 It’s also easy to support wildlife conservation efforts in the Amazon. There are a number of wildlife rescue centers where you can volunteer, such as Merazonia and Amazoonico. These typically require a minimum commitment of 2-4 weeks (Merazonia) or 8 weeks (Amazoonico) – which makes sense because they need to invest time in training volunteers. It wouldn’t really be worth the effort if the volunteer left after a few days! You can also expect basic jungle accommodation – no electricity (hence no fridge), no internet access, etc. 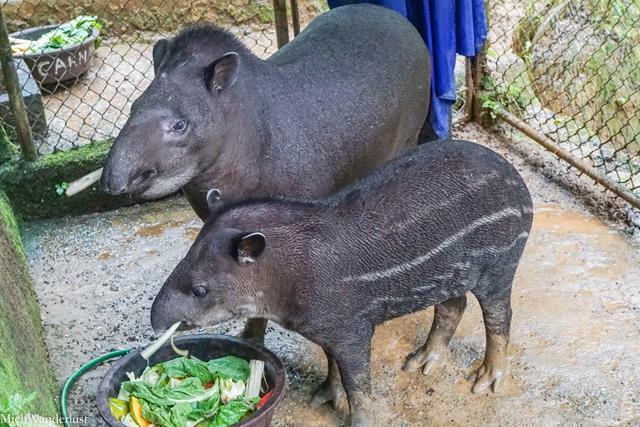 If you don’t have time to volunteer or you don’t think jungle life is for you, don’t worry – some, like Amazoonico, are open to tourists! You can read about my visit to Amazoonico here. I know I go on and on and on about it, but I’m a big believer in making my tourist dollar matter. It’s as simple as doing a bit of Googling while planning a trip. I figure if we all do that, then mass tourism wouldn’t be such a problem, right? Okay, I’ll get off my soapbox now before you start throwing virtual tomatoes at me! We’ve all experienced that mad rush to get rid of local currency before leaving a country… or is it just me? But no matter what I do, I somehow still end up with some small change. Their unfortunate fate is to gather dust at the bottom of a drawer forever. Thankfully, there’s no such issue in Ecuador. It’s one of a handful of countries which have adopted the US Dollar as their official currency, including El Salvador and Micronesia. This makes it incredibly convenient for American tourists to visit. Even if you don’t live in the US, you gotta admit having some US dollars always comes in handy – especially if your own currency isn’t as widely accepted. Ecuador is a relatively small country by South American standards – seriously, just try to locate it on a world map. It’s dwarfed by its neighbours, Peru and Colombia. But despite its (relatively) small size, it’s home to 4 very different regions – the Andes, the Amazon, the coast, and the Galapagos. What this means, for you, is that it’s relatively easy to get to the Amazon from one of the major cities. It took me about 12 hours by bus to reach Cuyabeno from Quito (including waiting for a few hours to change bus in Lago Agrio), and you can save even more time by flying. However, if you’re strapped for time, it could be worth it to look into a tour package that includes the Amazon and the Galapagos. You could even combine learning Spanish with a week’s stay in a jungle lodge! I took Spanish lessons with Yanapuma Spanish School in Quito, but they also have Study and Travel Programs with destinations including the Amazon, the Galapagos and the cloud forest. Admittedly, I’m a bit of a nerd who likes languages, but that sounds so fun! I’d have gone for it if I’d had the budget. Quito is just a 4-hour flight from Miami and a 5-hour flight from Houston. And I’ve met people who decided to visit Ecuador solely because they found a wickedly cheap flight online! I’m not an expert on US airlines or airfares, though, so I’ll just leave it at that. Obviously, it’s not quite a weekend trip, but with Americans’ infamously limited leave days, it might be worth looking into if you have a week off! As for my European friends, flight times are obviously longer. But it took me 36 hours to get from Singapore to Quito, so… anything less than that is short for me. What interests you most about the Amazon? The wildlife, the vegetation, the indigenous culture? 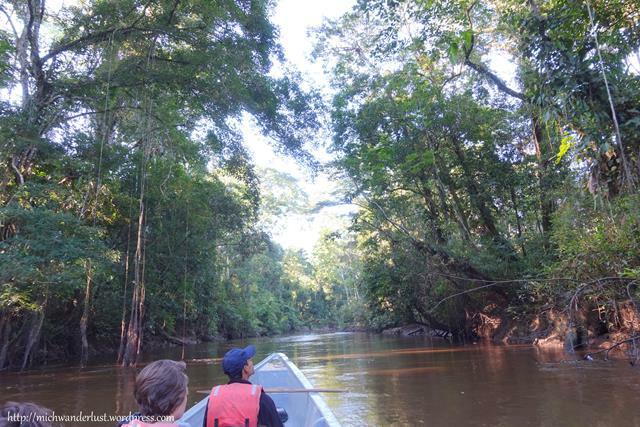 If you’ve been to the Amazon, is there anything you would add to this list? This is amazing. So in line with how I travel. I wish I could go asap but alas I am in Asia for the moment, hoping my next move is to S. America somewhere so saving this for when I make it that way eventually. I’m from Asia so I can totally relate! It’s a loooong journey. Hope you get to go one day, I really loved South America 🙂 Thanks for stopping by, Sara! This looks beautiful! I am adding this to my bucket list! 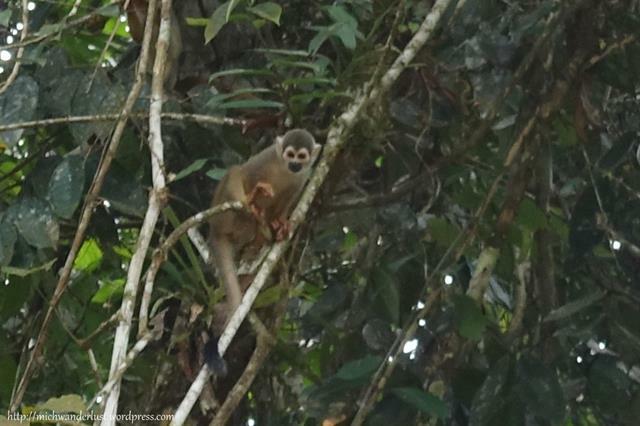 We have already visit Amazon rainforest in Peru – http://etabroad.com/en/peru-what-can-you-experience-in-the-amazon-rainforest-with-jacamar-lodge-expedition/. I couldn’t agree more – we can and should absolutely do more beyond just visiting and supporting ecotourism! Loved your Amazon post too. Thanks for stopping by, Tomas! I didn’t visit the Amazon, but I did visit Quito and really loved it. I thought the people were very nice and they spoke good English so it was easy to get around. I also really enjoyed the food. I would go back to Ecuador in a heartbeat. Oh and I do appreciate you keeping us informed about social and environmental issues, keeping up with everything is not easy. Thanks for sharing on #TheWeeklyPostcard. I would love to make a cruise on the amazone one of the next years. With a luxury cruise ship 🙂 And seeing a jaguar in wild is on my bucketlist. I hope I am lucky! I went to the Galapagos a few years back, and my biggest regret is not spending more time in mainland Ecuador. I will definitely be back, for many of the reasons you mentioned! Oooh I loved the Galapagos! I was there during the recent elections and was really surprised at the general anti-govt sentiment (in the other parts of the country I visited, people were more evenly split). Hope you get to explore more of mainland Ecuador someday, it’s a really beautiful country – and I think many visitors just pass through Quito and/or Guayaquil on the way to the Galapagos. Thanks for stopping by, Leigh! Your journey through Ecuador has looked amazing. It looks like a great adventurous trip to take that is cost effective from the USA and educational. That was fascinating to read! So sad that this rain forest may eventually be plowed! Why can’t the UN or some world organization protect it from oil drillers? I also didn’t know that Ecuador used US dollars! As a former banker, $1 coins are still no problem. But weird to think they must have been all sent there! Thanks for sharing on #TheWeeklyPostcard! So interesting about Ecuador using the USD. I was just in Cambodia, and they also use the dollar there, but in parallel with their own currency (and no US coins are used – the local currency basically takes the place of them and is used for small amounts). Hey Jen! Yes, I’ve been following your Cambodia (and Thailand) adventures on IG and it looks amazing! I’ve heard about the system in Cambodia – very interesting, I wonder if it’s because of inflation / volatility of the local currency, or like what happened in Zimbabwe. How little I´ve heard of Ecuador! So many reasons to visit it indeed. Although this whole climate change thing is definitely sad! I´ve recently watched a TED video of a climate researcher Alice Bows-Larkin. I liked the way she summarized the issue : “Imagine the hottest day you’ve ever experienced. Now imagine it’s 6, 10 or 12 degrees hotter. And we can choose to ignore it. But the choice we don’t have is a no climate change future.” And yet people choose to ignore it, starting with our governments…. Yes!! Governments are definitely one of the biggest offenders on this. I think, sadly, the lure of quick and easy money from mining, drilling etc. will almost always win out over more long-term sustainable development because they need short-term results to stay in power. Hopefully with pressure from the public, that can be changed. Thanks for stopping by, Anna! Your Amazon experience sounds amazing! I too was surprised at how easy it was to sleep in all that heat, without air-conditioning. Somehow the heat in the jungle is less oppressive than the same heat in cities (thinking about Bangkok and KL here, haha). I’ve never tried jungle chicha, though I’ve tried the mountain version, which I heard was a lot milder. Have you tried the latter? I saw people blow a dart gun, but didn’t try it myself – which I kinda regret now! So glad to hear from someone who visited Amazoonico too. Thanks for stopping by, Linda! No, Michelle, we didn’t try the mountain version but I’m game if you are. By the way, I’ll agree with you about the humidity. Temperature, too. Both were a lot lower than here in KL for sure! Aah I literally just got back to Singapore from a whirlwind 2-day trip to KL! Unfortunately it was to attend a family funeral, so I’ve been largely absent from social media/blogs. The heat in KL always seems extra strong and unforgiving to me, so I can totally relate. Hope you guys are enjoying your time there! ‘Looks amazing and certainly a destination that would probably be up my alley! My parents are headed to the airport to take off for Ecuador as we speak(type?) I sent this to them and was like ooooh read hahaha. These are good suggestions. Hopefully my parents take these into account. Oooh that’s so exciting!! Thanks for sharing this post with your parents! I’m sure they’ll enjoy their time in the beautiful country that is Ecuador 🙂 the Amazon is definitely worth a few days if they have the time. Thanks for stopping by, Victoria! 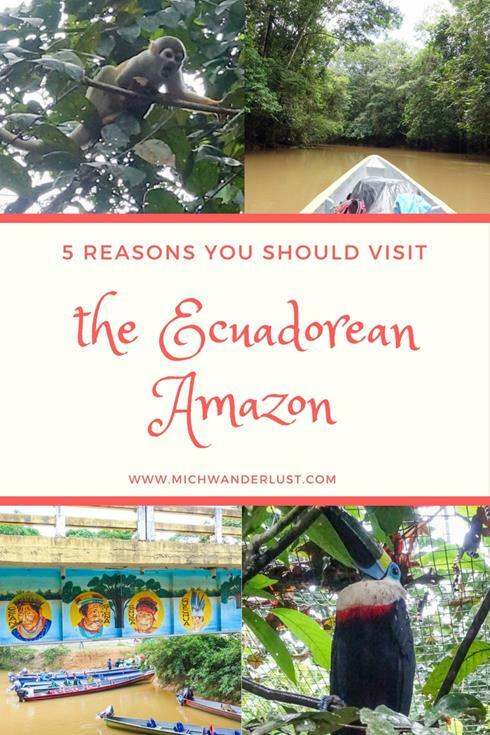 Definitely one of those lovely spots that can easily be hurt by resource depletion, industry, climate change, and tourism… My husband and his parents have both been to Ecuador but I have not. I don’t think we’ll get there any time too soon but I would love to visit the Amazon. BTW, U.S. dollar coins should be easy to exchange for $1 bills at any U.S. bank! Couuldn’t agree more, Jessica – and we all know that money talks, so I think it’s so important to speak out, raise awareness, and do our best to vote with our tourist dollars! The world is big and time is short – sadly, we can’t be everywhere at once but hopefully, you make it to Ecuador one day 🙂 And thanks for the tip about exchanging the coins at a bank! I’d just never seen them before in the US, so I was really surprised haha. Thanks for stopping by! Well, you had us at “Amazon” but nearly lost us at “disconcertingly huge insects”! 😉 Although, at least you could see those coming. Maybe that’s a good thing. Reading about the threats to the rainforest is really upsetting. We remember taking part in The Rainforest Initiative – a media campaign to raise awareness, in the 1980s!! And we seem to be no better off now. Thanks for your tips on community tourism. One way we can help, at least. And thanks for sharing on #TheWeeklyPostcard.